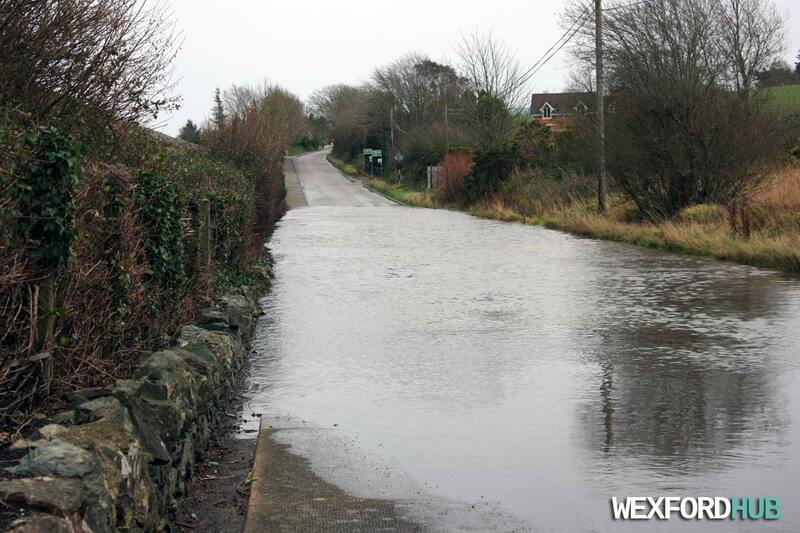 Photographs of the R730 road between Ferrycarrig and Wexford Town. 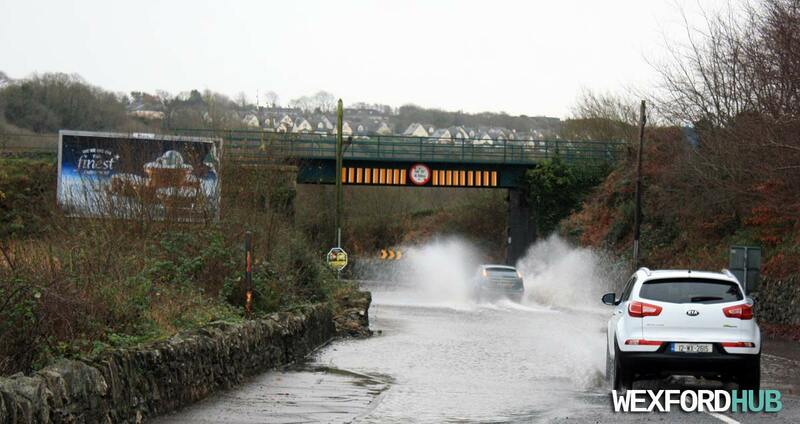 The road underneath the small railway bridge had become flooded with water due to Storm Frank and some heavy rainfall that had occurred overnight. Here is another shot, taken from the other side of the bridge. These photographs were taken on Wednesday, the 30th of December, 2015. 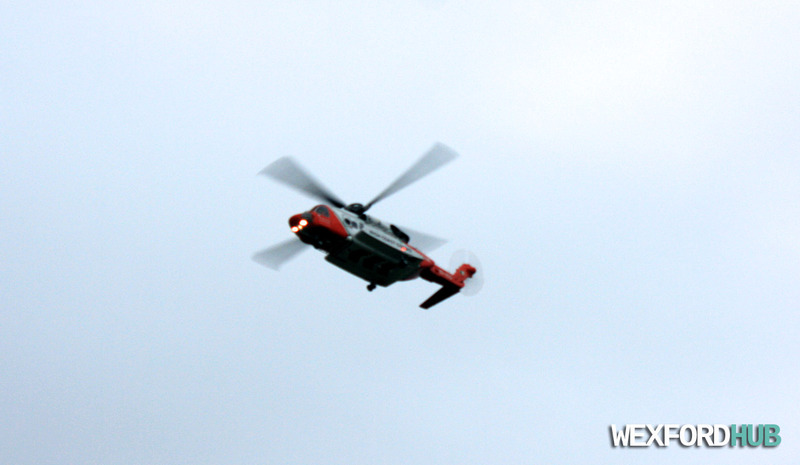 A photograph of the Irish Coast Guard Helicopter (reg: EI-ICG) flying over the outskirts of Wexford Town. This is a Sikorsky S-92A that is currently being used by Rescue 117, which is based in Waterford. 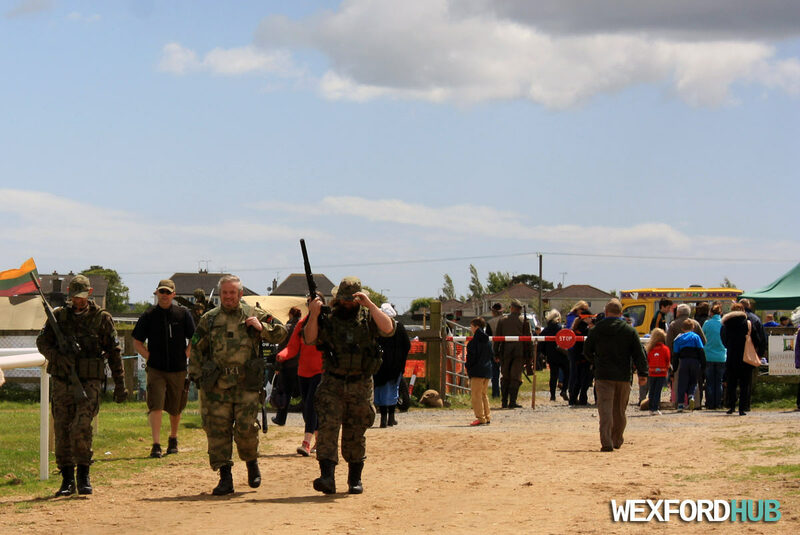 This was taken during a training exercise, when the chopper was hovering around the Clonard area of Wexford. Photo taken on Monday, the 28th of December, 2015. 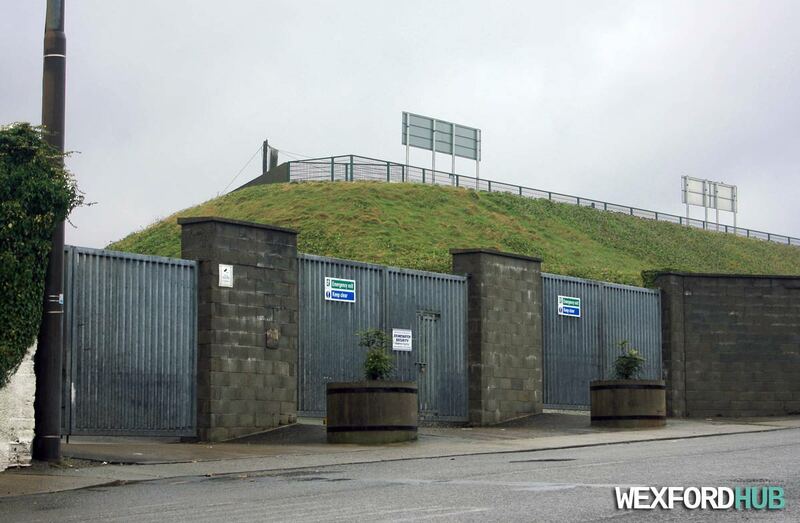 A photograph of the main entrance to Wexford Park (officially known as the Innovate Wexford Park). This is a GAA stadium that facilitates Hurling and Gaelic Football games. 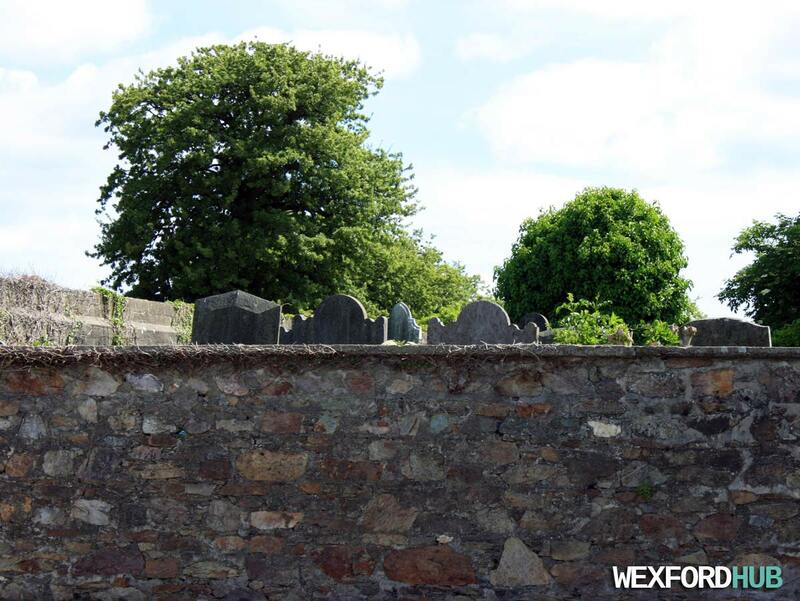 This particular entrance can be found at the top of Corish Park in Wexford Town - across from the wall behind Pineridge. Photo taken on 27 Dec 2015. 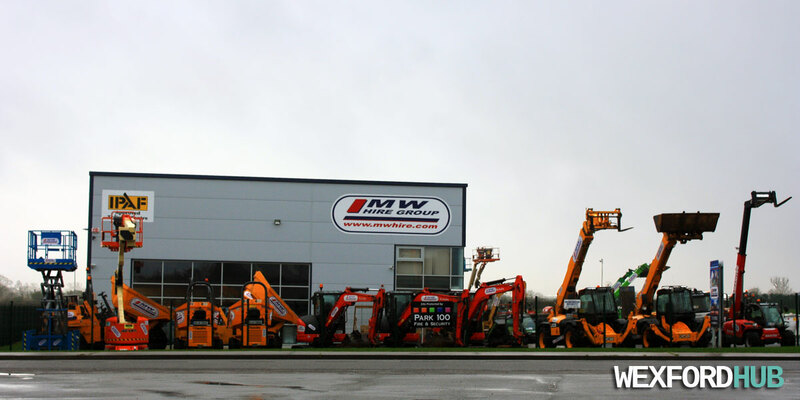 A photograph of the MW Hire premises in Wexford Town. 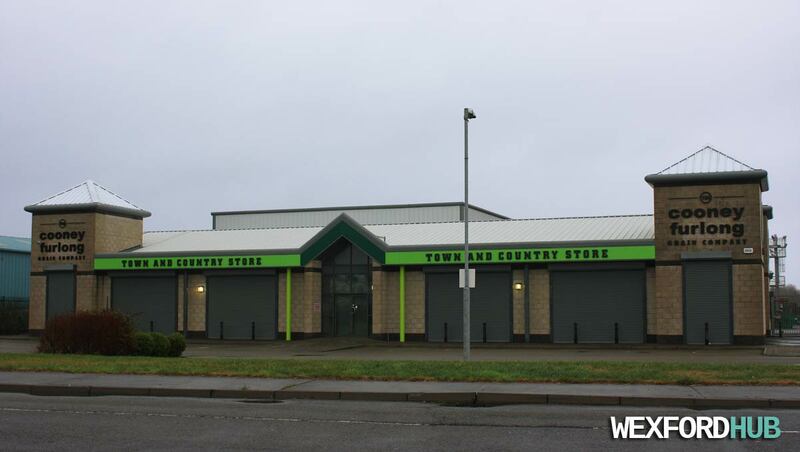 This outlet is situated in the Drinagh Business Park in Sinnottstown Lane, Wexford. MW Hire is a Plant & Pump Hire Company. 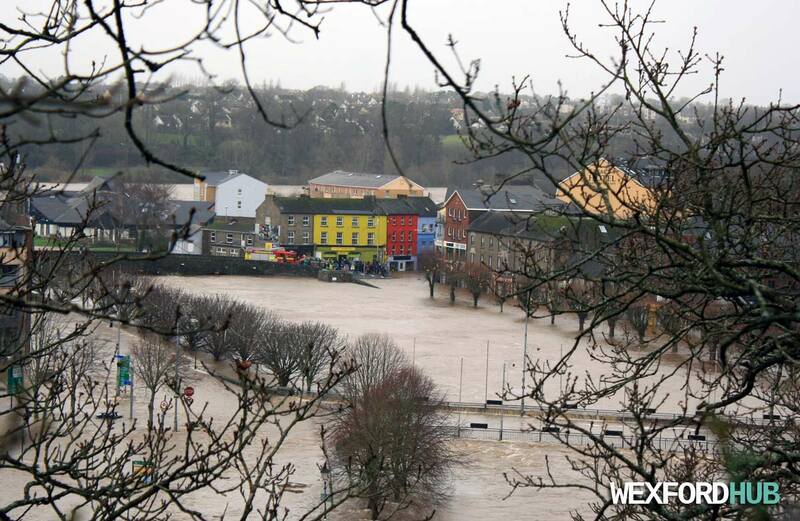 This photograph was taken on Sunday, the 27th of December, 2015. A photograph of the Cooney Furlong Grain Company outlet in Sinnottstown Lane, Drinagh, Wexford. Cooney Furlong is an agri-business company that supplies farm inputs such as seed grain and animal feedstuffs. This photograph was taken on Sunday, the 27th of December, 2015. 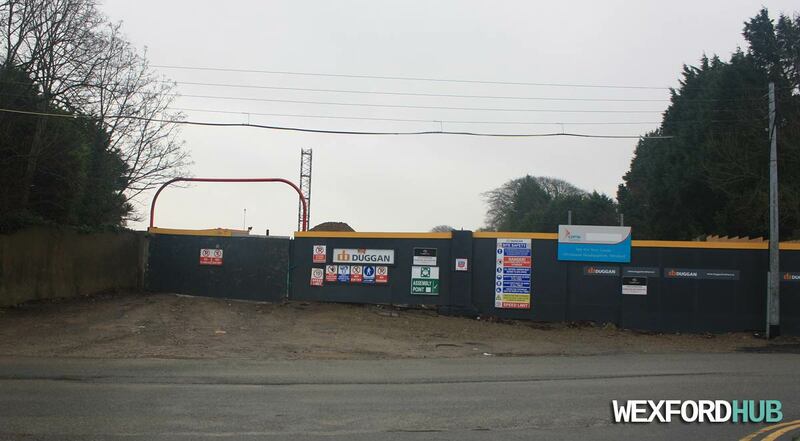 A photograph of the seven acre site that will contain the new Garda station in Wexford Town. 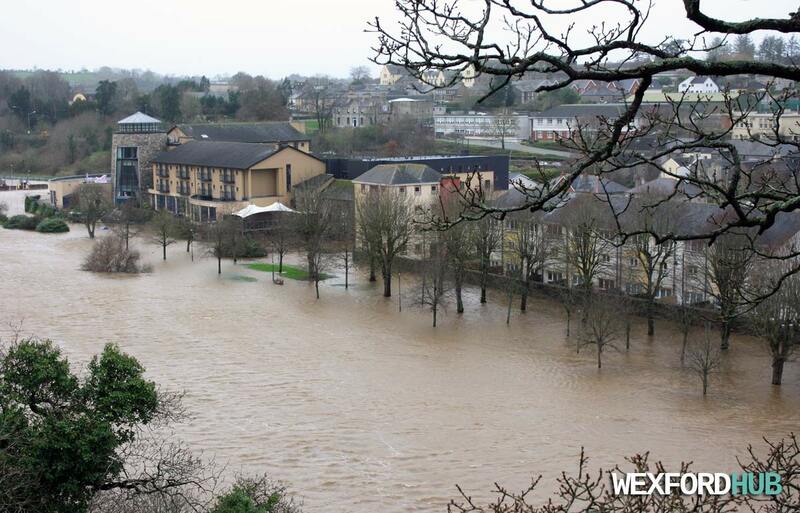 This is behind the Tesco supermarket on Mulgannon Road, just after you take a right at The Folly. 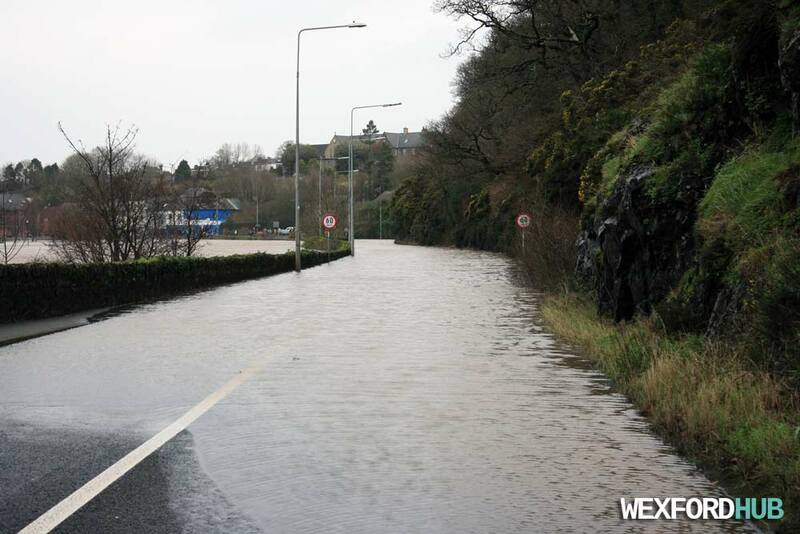 The blue sign to the right of the photograph reads "Site For New Garda Divisional Headquarters, Wexford." 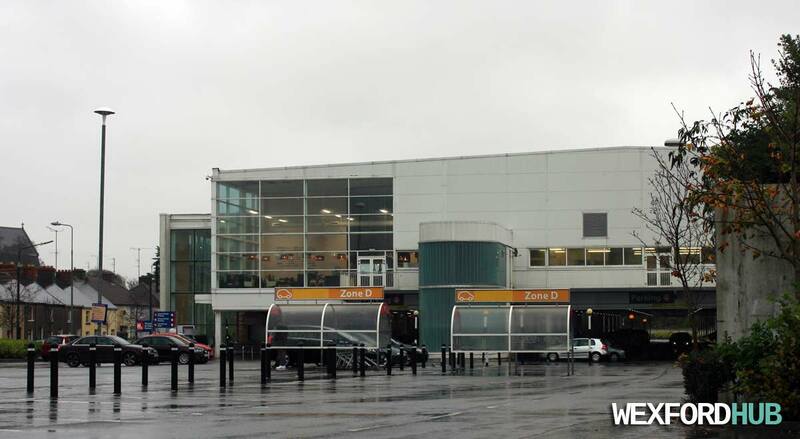 The station will cost €25 million to build and it will replace the current station on Roche's Road. Photo Date: 27 Dec 2015. 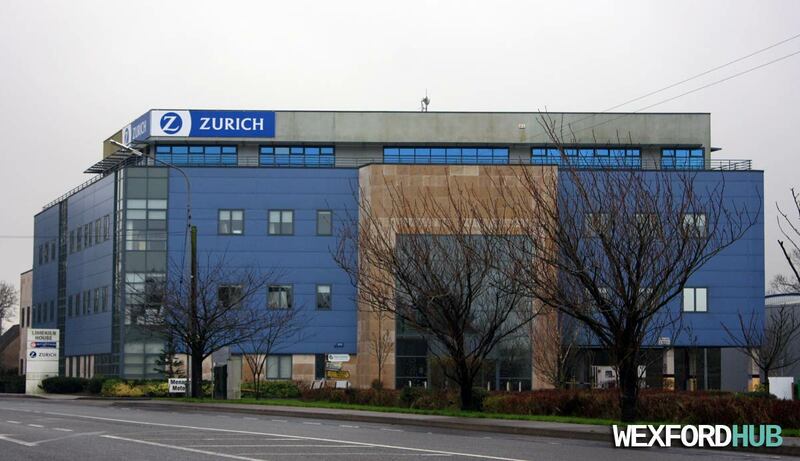 A photograph of the Zurich office building in Wexford Town. Zurich is a Swiss insurance company that operates across the globe. 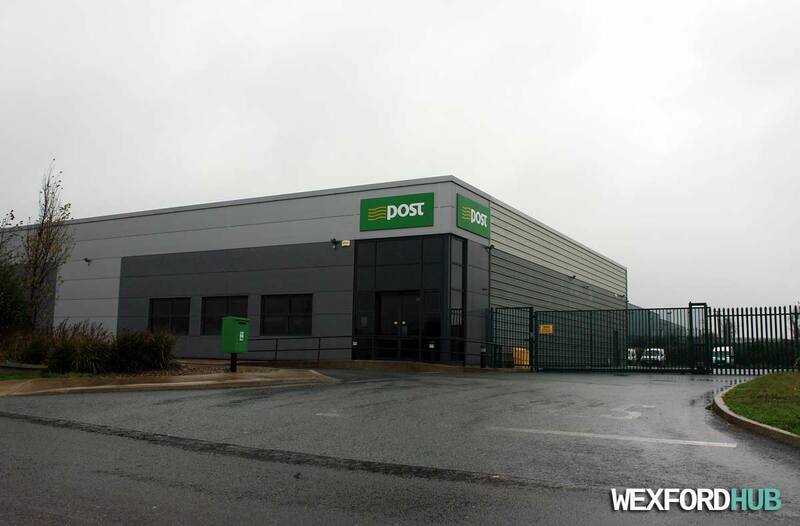 The company refers to this building in Drinagh as its "centre of excellence". This photograph was taken on Sunday, the 27th of December, 2015. 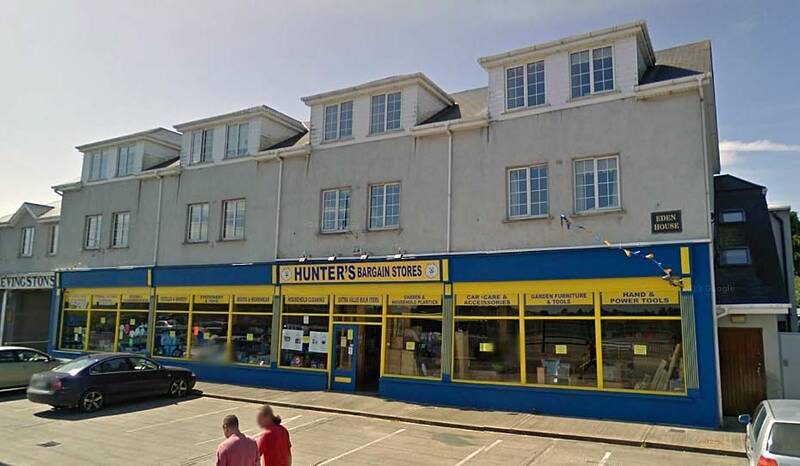 A Google Street View image of Hunter's Bargain Stores, which was a large outlet on Redmond Road in Wexford Town. This store sold everything from car accessories to power tools, pet food, toys and stationery. 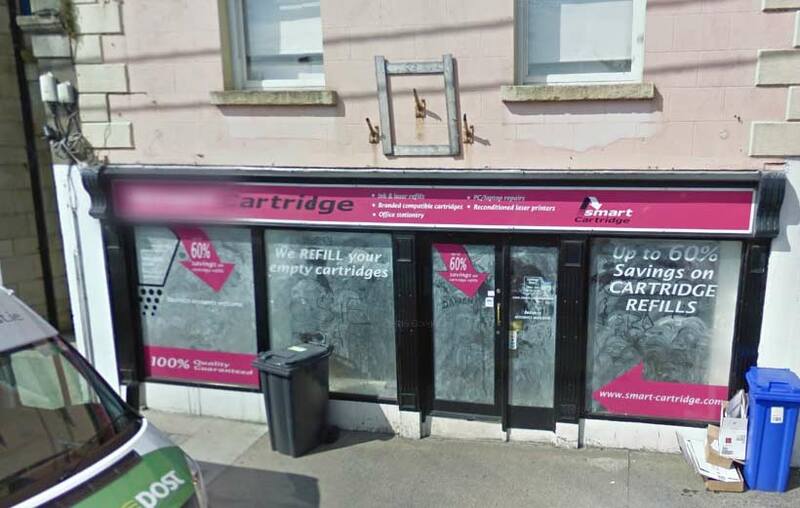 The store closed in 2011, along with its outlets in New Ross, Enniscorthy, Gorey and Carrick on Suir in County Tipperary. The owners closed Hunter's Bargain Stores because of a downturn in business and "increased competition". This image was captured in June of 2009. Nowadays, this building (Eden House) is split up into two separate retail outlets (Marathon Fitness and Sadhana Yoga). 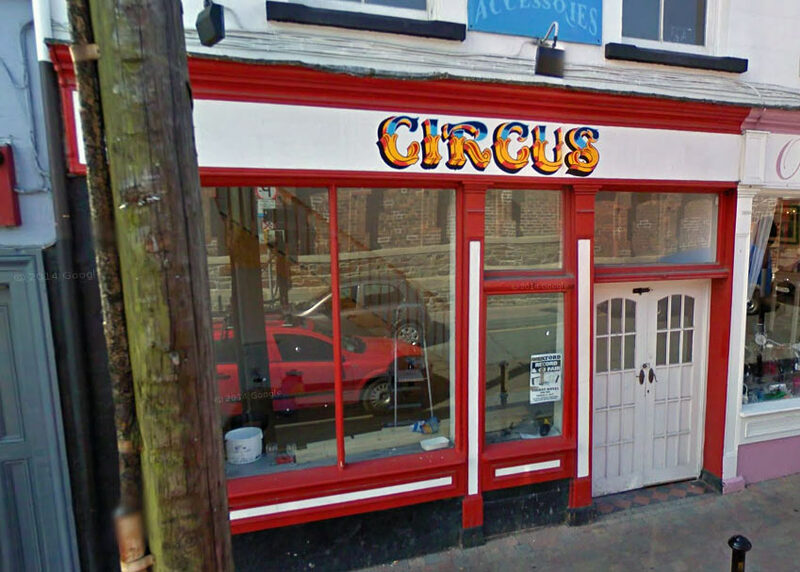 A Google Street View image of Circus, which was a shop on Wexford's Common Quay Street. Up until recently, the premises was occupied by a store called Hen's Teeth. 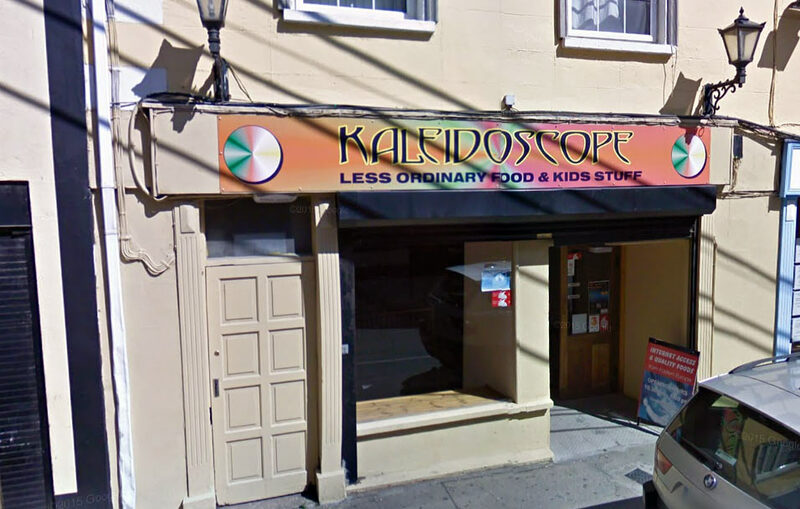 A Google Street View image of Kaleidoscope, which was a store on Wexford's Anne Street. The slogan of the shop was "Less ordinary food & kids stuff." Nowadays, this particular outlet is occupied by a shop called Cobbler & Keys. 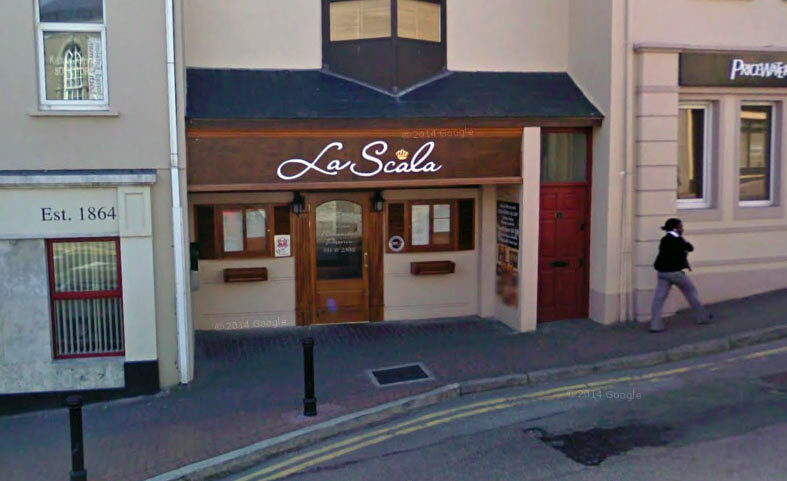 A Google Street View image of La Scala, which was an Italian restaurant that was situated in Cornmarket, Wexford. 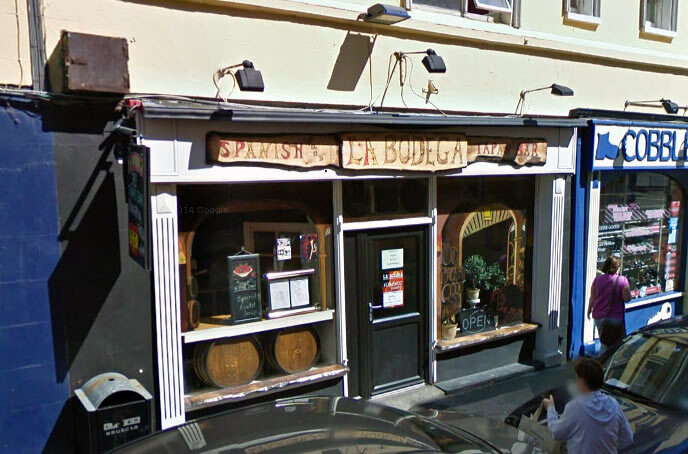 The restaurant closed during the downturn when its owner fell into serious financial difficulties. Later, after La Scala had closed, the premises became home to Opera Steakhouse. This image was captured in June of 2009. 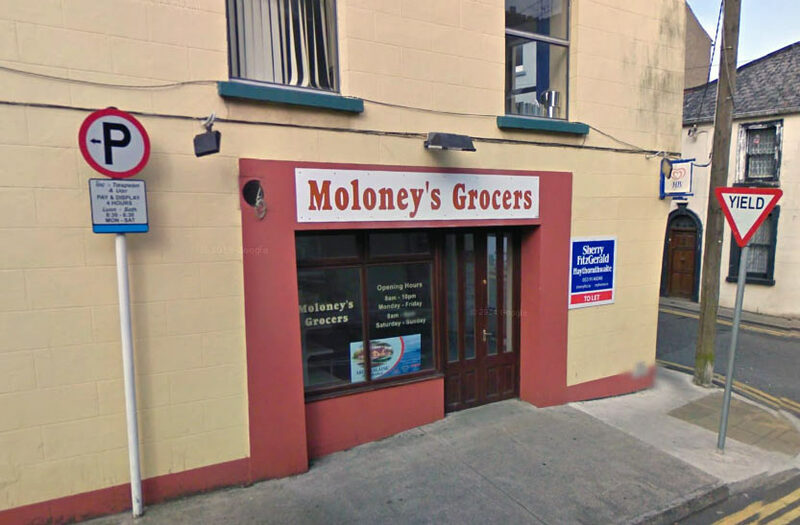 A Google Street View image of Moloney's Grocers, which was situated on the corner of Abbey Street and George's Street. In the past, this particular premises was home to a newsagents called The Gem. Nowadays, it is occupied by the Abbey Street Pharmacy. 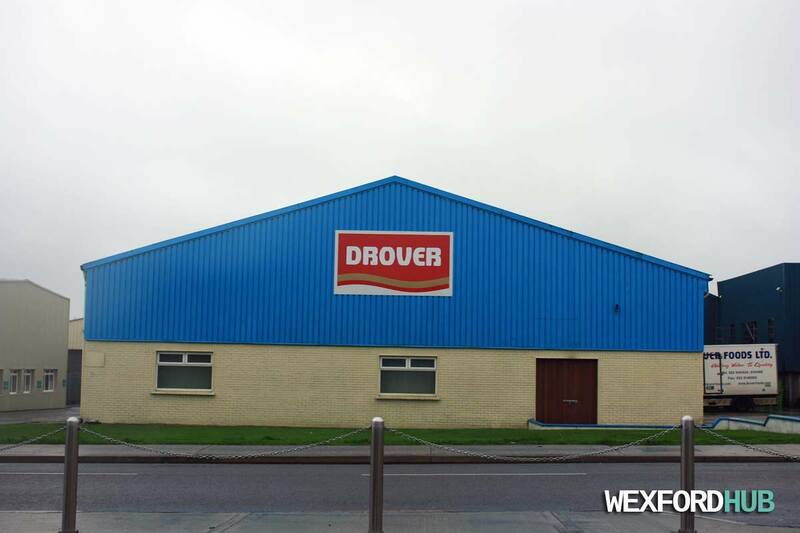 A photograph of the Drover Foods building in Wexford's WhiteMill Industrial Estate. Drover Foods manufactures cooked sausages, meatballs and other processed foods. 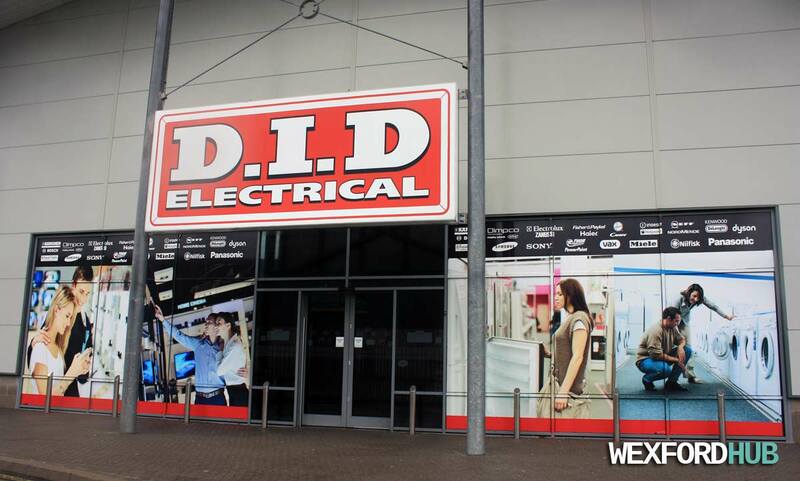 A photograph of the DID Electrical store in Wexford's Clonard Retail Park. DID Electrical sells products such as washing machines, coffee machines and televisions. This was taken on Sunday, the 8th of November, 2015. 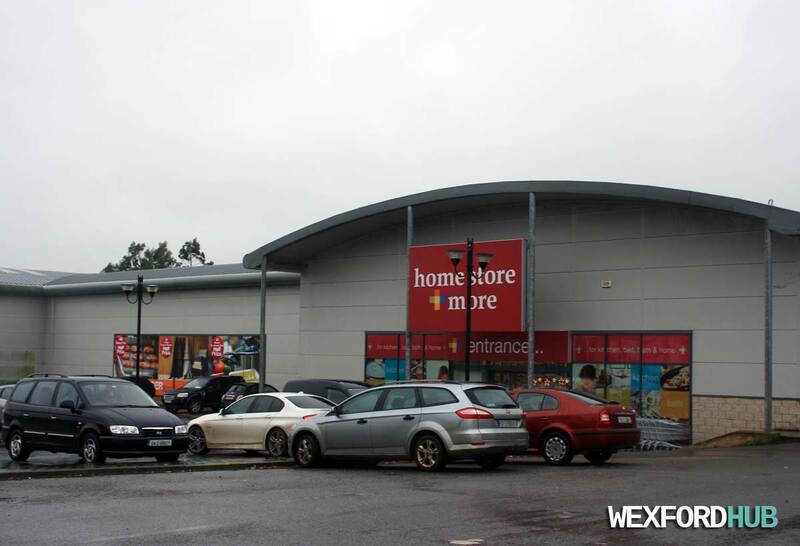 A photograph of the Homestore & More (Homestore + More) premises in Wexford's Clonard Retail Park. Homestore + More sells everything from duvets to baking trays and mops. This photograph was taken on a wet and windy Sunday in November of 2015. 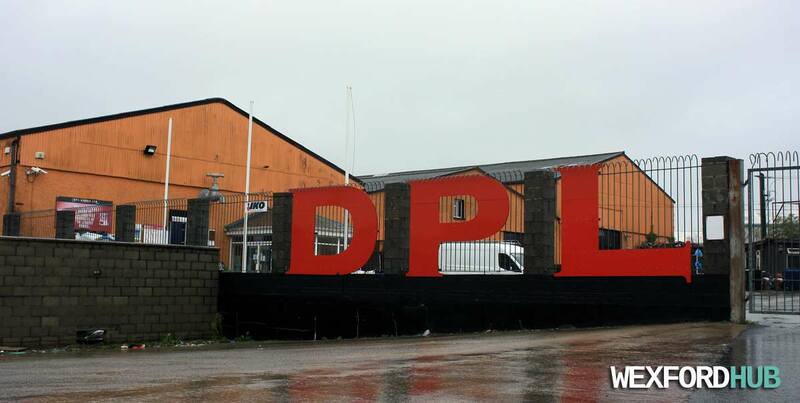 A photograph of the DPL (Dublin Providers) premises in Clonard Retail Park, Wexford. DPL sells building materials such as paint, hand tools, timber and roofing products. It also sells heating products such as boilers and water heaters. This photograph was taken on the 8th of November, 2015. 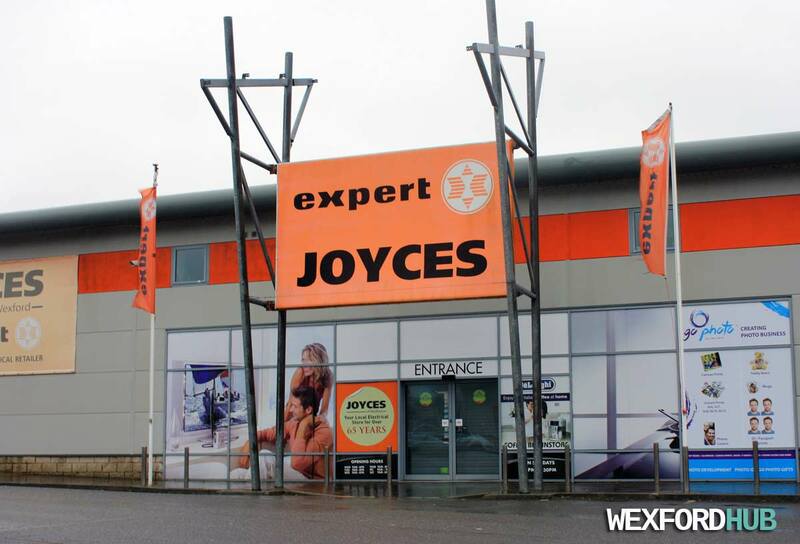 A photograph of the Joyces of Wexford store in Clonard Retail Park. 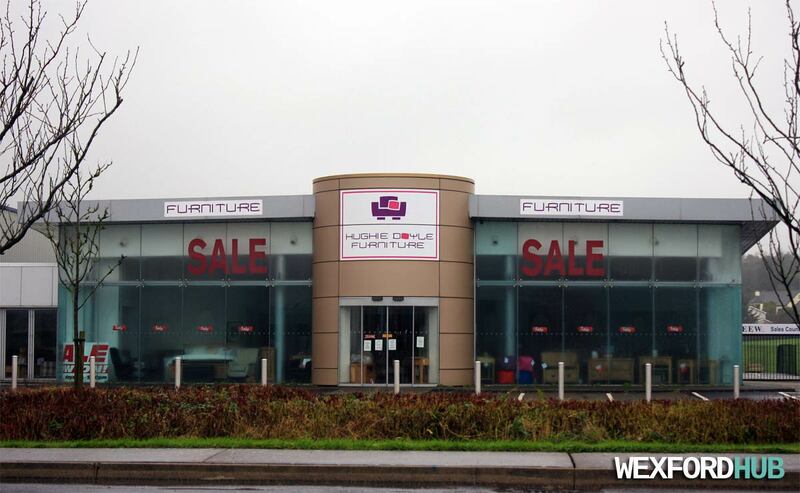 This Wexford-based business has been operating for over 70 years. The store sells a wide range of electronic products, such as televisions, laptops, PCs and household appliances. 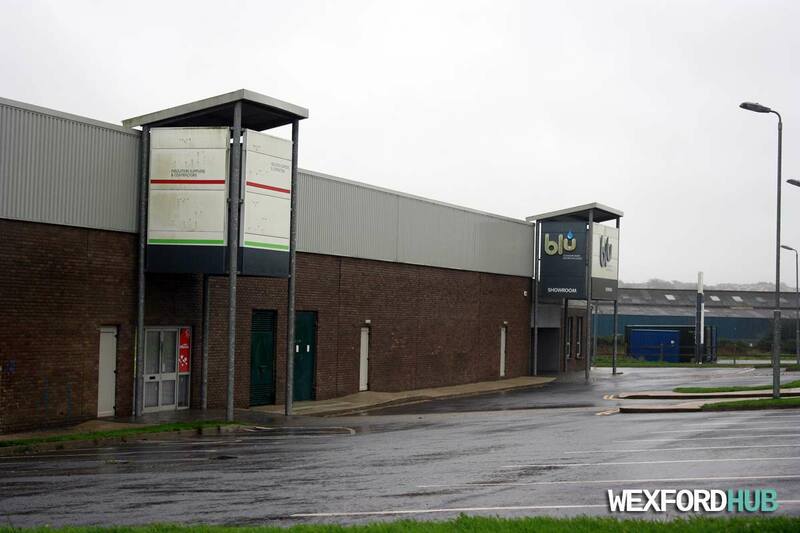 Before Joyces moved to its new location in Clonard Retail Park, it was situated on South Main Street, where the DV8 store is today. 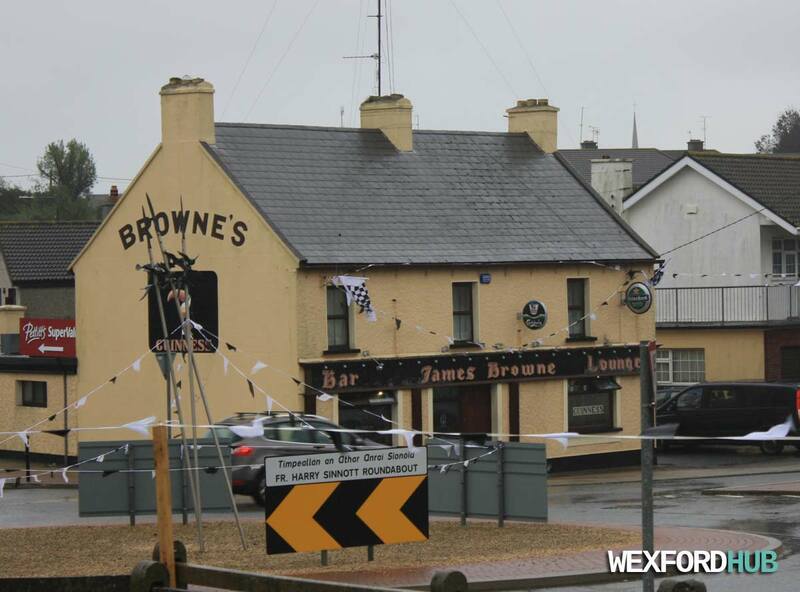 A photograph of Browne's Pub, which is situated in Bishopswater in Wexford; at the Fr. Harry Sinnott Roundabout at the end of Distillery Road. This photograph was taken in November of 2015. 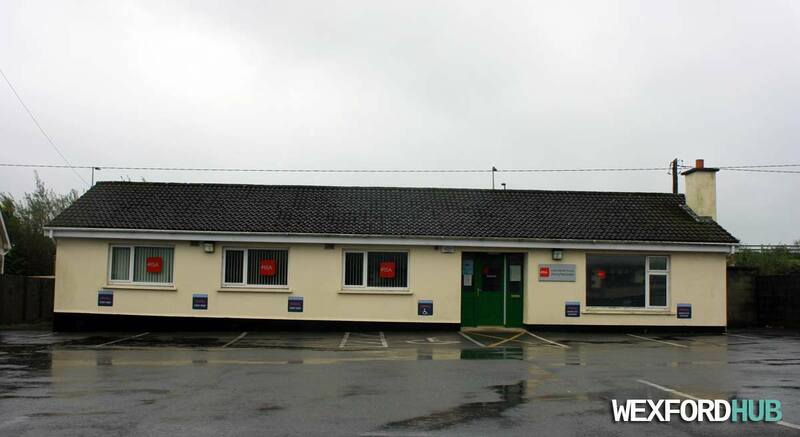 A photograph of the RSA Driving Test Centre in Wexford Town. 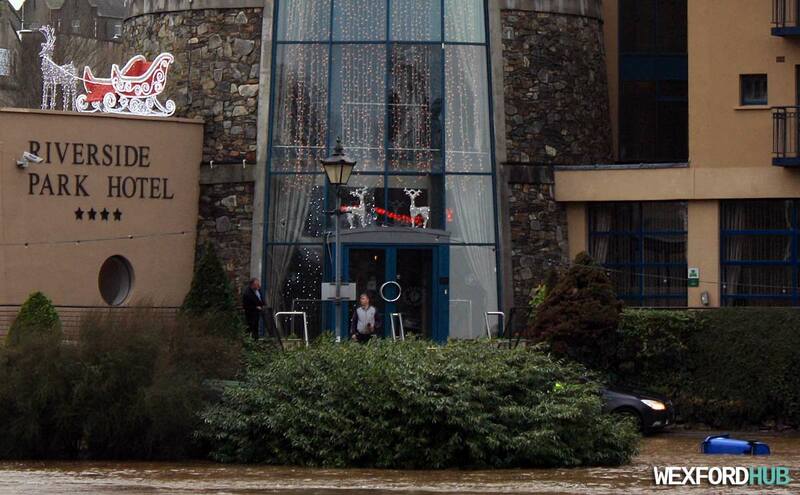 The centre is located in Killeens. The entrance to the street can be found on the R733 road, just past Pinewood and Mcclure Meadows. 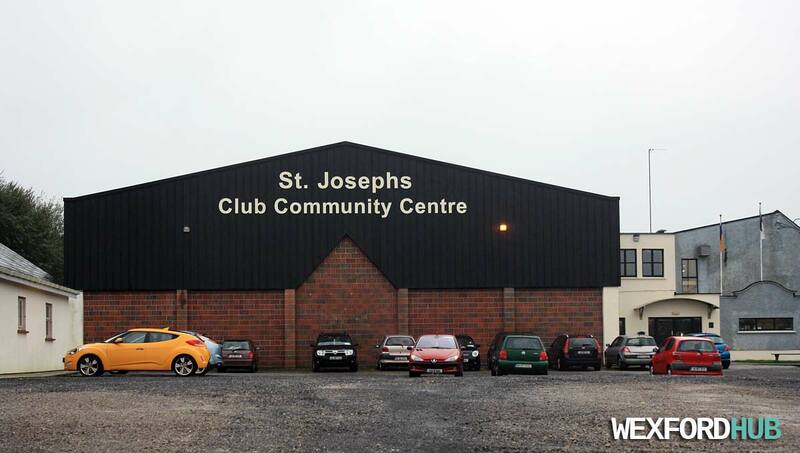 A photograph of the St. Joseph's Club Community Centre, which is situated on New Line Road, close to Bishopswater in Wexford Town. The club was officially opened on the 14th of October, 1962. 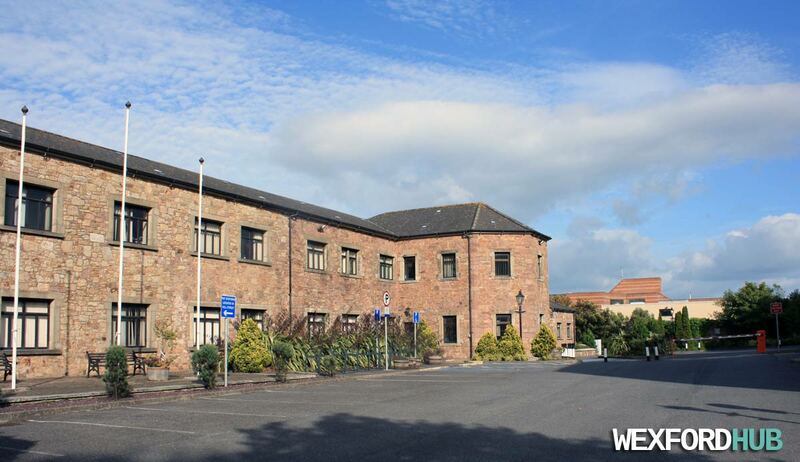 The centre is home to various sporting clubs and activities, such as handball and boxing. The centre is also used as a counting centre for elections and referendums. This photograph was taken on Sunday, the 8th of November, 2015. 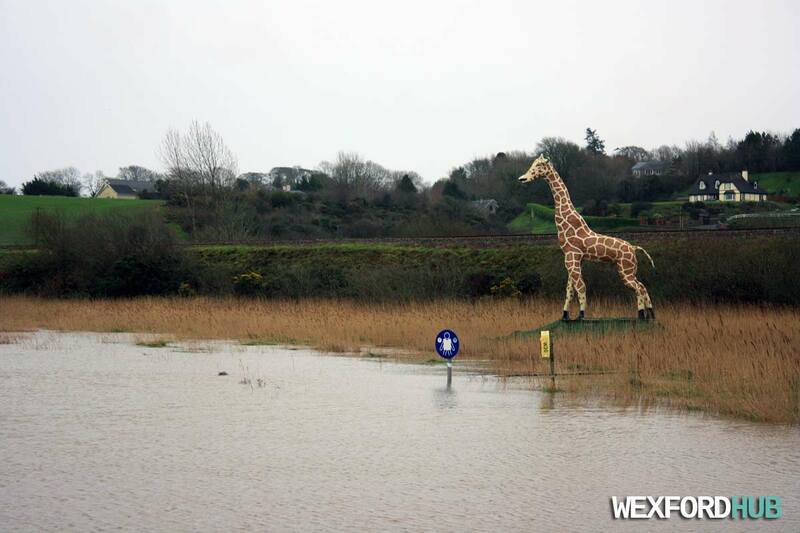 A photograph of Tesco supermarket on Distillery Road, Wexford. This particular supermarket was opened on Monday, the 26th of February, 2007. Before that, Tesco had been situated at the end of Lowney's Mall on South Main Street. In the past, this was the location of Pierce's Foundry. Photograph taken in November of 2015. 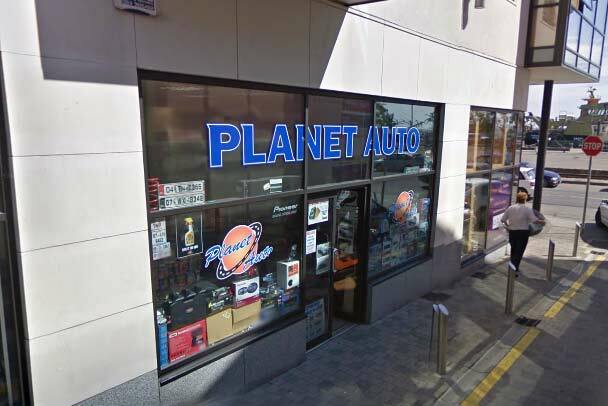 A Google Street View image of the Planet Auto premises at Key West in Wexford. This was taken in June of 2009, before the shop closed. As the name suggests, Planet Auto sold car accessories and the like. The company behind the shop was set up in November in 2004. It officially dissolved in April of 2010. 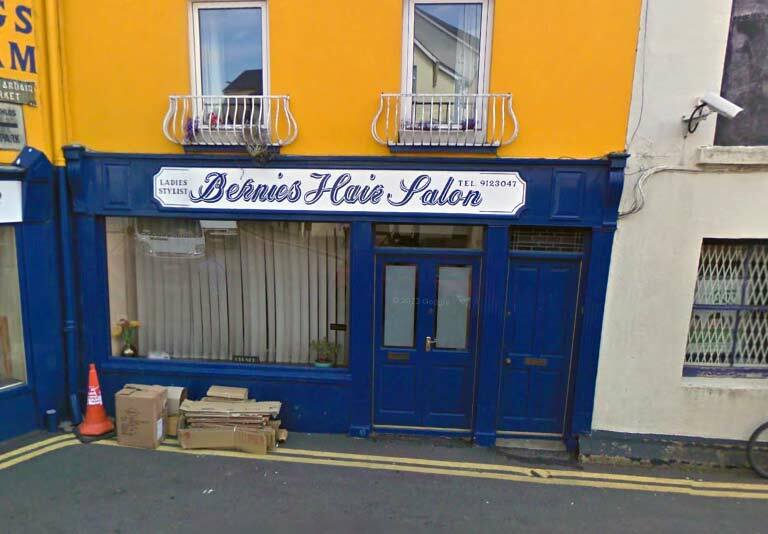 A Google Street View image of Bernies Hair Salon, which was once situated in Cornmarket, Wexford. 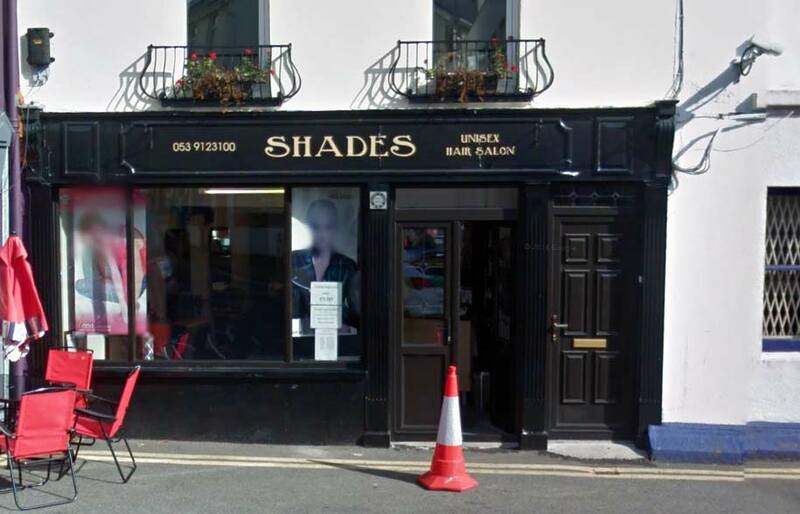 Nowadays, Bernie's Hair Salon is situated on Rowe Street. 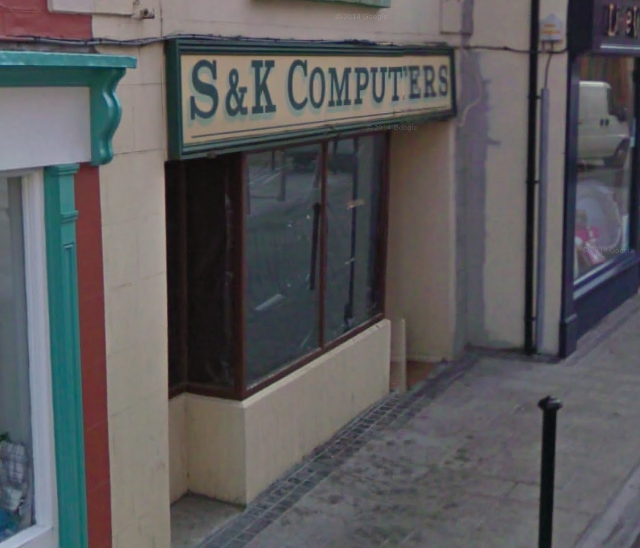 A Google Maps streetview image of S&K Computers, which used to sell computer-related peripherals. This store was located at 24 Selskar Street. The image above was captured in June of 2009, after the store had already been shut. It seems that the company S. & K. Computers Limited officially closed in April of 2010. 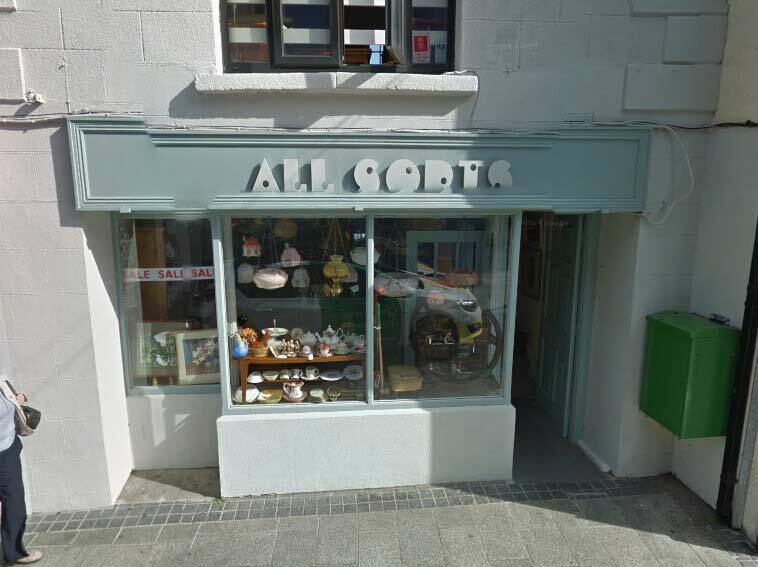 Up until October of 2015, the premises was occupied by a shop called All Sorts, which sold antiques and jewelry. 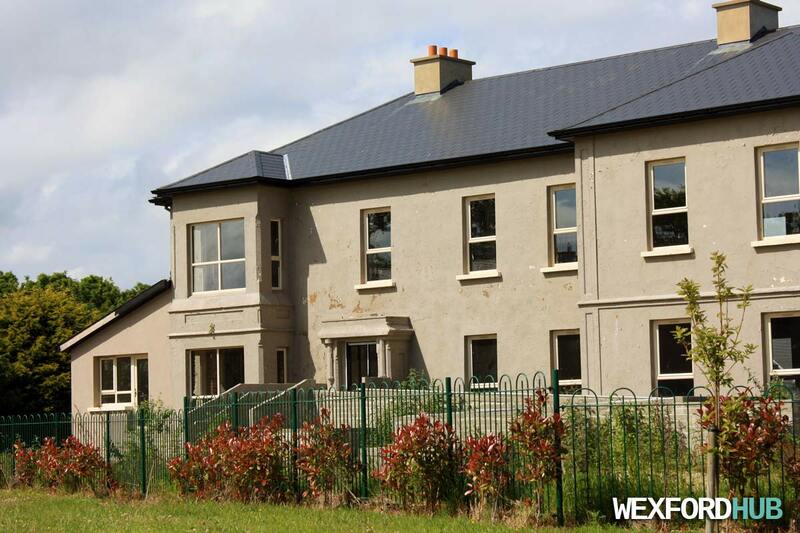 A photograph of the Casa Rio houses on Distillery Road, Wexford. From what I've read; these houses were used by the foundry workers that used to work in Pierce's Foundry, which was situated where Tesco is today. 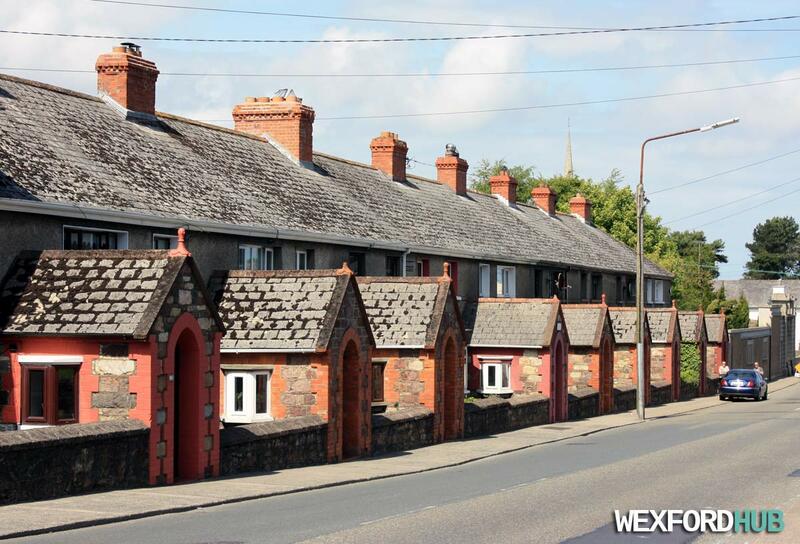 These houses were built between 1945 and 1950. 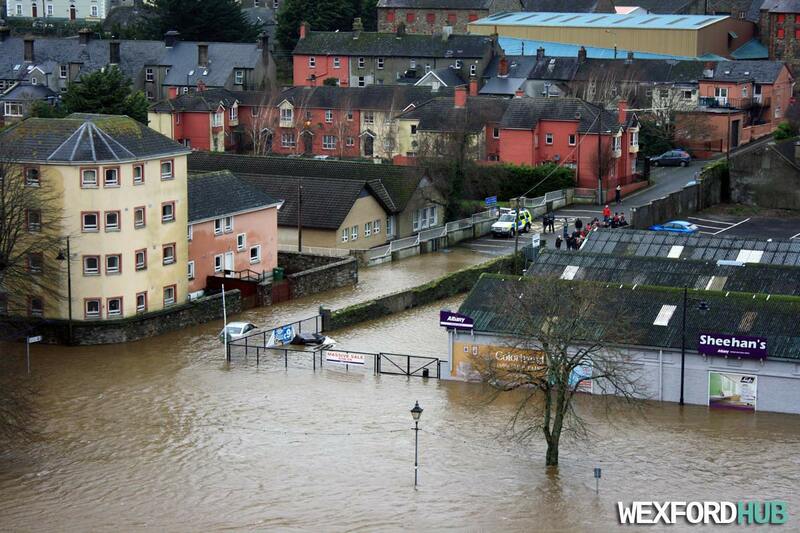 In the background, you can just about make out the spire of Bride Street Church. This was taken in June of 2015. 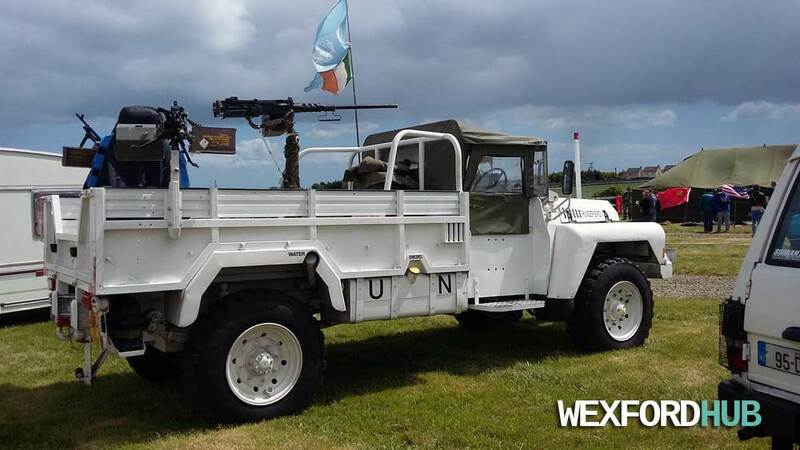 The Wexford Military Show took place at Bettyville Race Course in Wexford Town. 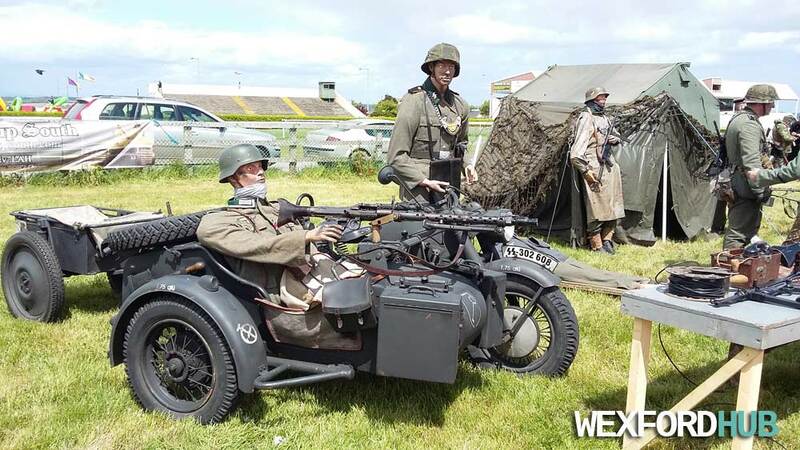 It included re-enactments from Roman soldiers and Celts; as well as military vehicles and weapons (including Airsoft rifles and the like). 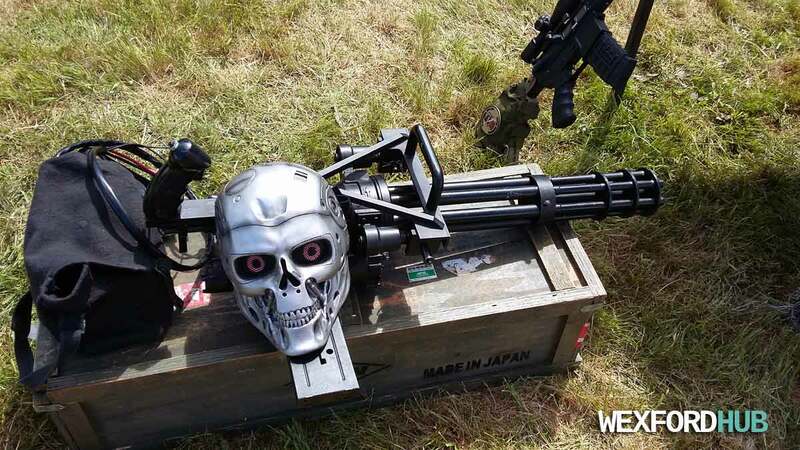 I even saw what looked to be large Terminator-style rail gun. This photograph was taken on Sunday, the 31st of May, 2015. Unfortunately, the battery in my camera died seconds after I took this! 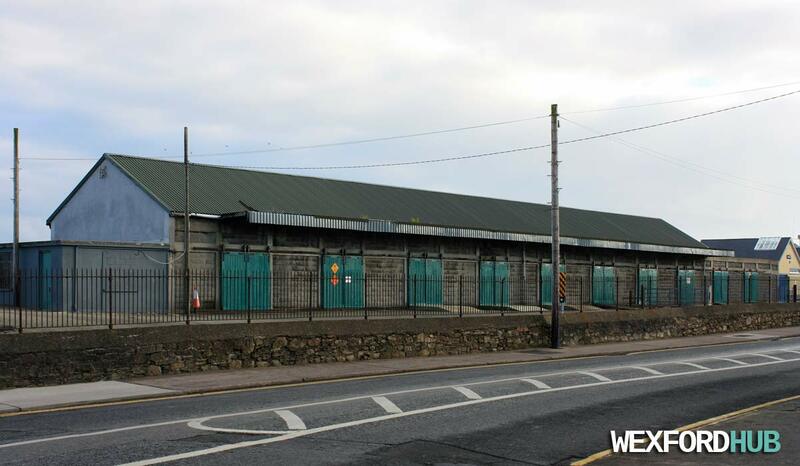 The old railway sheds, which are situated inside the grounds of Wexford Train Station. Visible from Redmond Place (these sheds have shown up in photographs that were taken before Wexford Bridge even existed, so they must be pretty old). 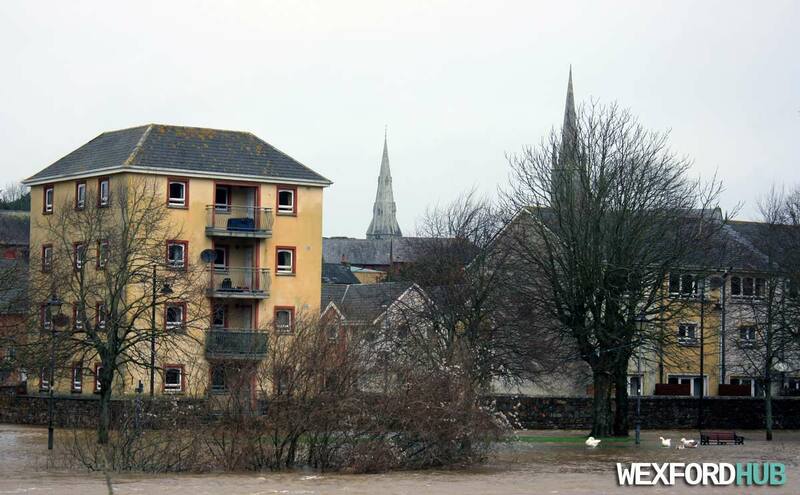 The building to the far right is operated by the RNLI. 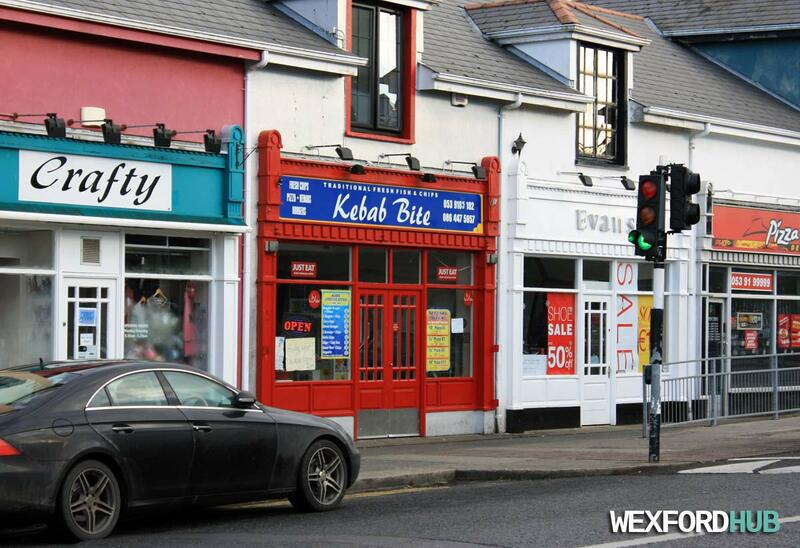 A photograph of the Kebab Bite outlet on Redmond Road in Wexford Town. Kebab Bite is a "traditional fish and chips" takeaway shop that sells chips, fish, kebabs, pizzas and burgers. Also visible are Crafty, Evans and Pizza Hut.